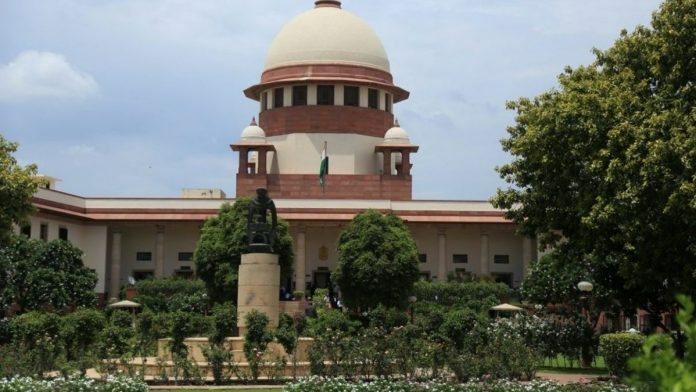 By dismissing an impaired lawyer's appeal, the Supreme Court has denied millions of Indians with disabilities a chance to enter the judicial process. Earlier this year, I opened my Foundation’s quarterly newsletter by quoting the question I am most often asked at interactions, “What would you have been if you weren’t disabled?” I have always believed that it is unrealistic for someone with a locomotor disability like mine to aspire to run like P.T. Usha (I loved cricket as a child and, upon realising I could never play the mainstream game, wanted to be a commentator). However, I am a strong proponent of the social model of disability, according to which disability exists due to the barriers that prevent the full inclusion of persons with disabilities – these barriers might be in terms of attitudes, physical infrastructure, laws and policies. One of the lowest points in India’s disability rights movement was on 22 January 2019. A Supreme Court bench of Justice Ashok Bhushan and Justice KM Joseph dismissed an appeal by V. Surendra Mohan, a lawyer from Tamil Nadu who was held ineligible for the post of a judicial officer (civil judge) because he was found to be having 70 per cent disability in visual impairment. I was shocked to see the bench observe in its judgment: “A judicial officer in a state has to possess reasonable limit of the faculties of hearing, sight and speech in order to hear cases and write judgments and, therefore, stipulating a limit of 50% disability in hearing impairment or visual impairment as a condition to be eligible for the post is a legitimate restriction i.e. fair, logical and reasonable.” And thus, with the stroke of a pen, millions of Indians with disabilities were denied opportunities to be a part of the judiciary. This is sad on many accounts. Law and the judiciary have provided hope to persons with disabilities at various stages. The Delhi High Court had in 2011 conferred on S.K. Rungta the ‘senior advocate’ title for his painstaking judicial activism. Mr Rungta is blind since birth. Last year, Rahul Bajaj, an LLB from Nagpur University, won the internationally renowned Rhodes Scholarship to further his legal studies at Oxford. Bajaj happens to be blind. His blindness didn’t stop him from interning with a judge, working with a corporate law firm or filing an intervention application in the Supreme Court to make proceedings applicable. He put up a passionate argument demanding that all court cases, orders and websites be made accessible to the blind. What is disappointing in Surendra Mohan’s case is the loss of hope Indians with disabilities feel about the judiciary. People with disabilities are one of the biggest but most fragmented political minorities in the world. In a first past the post democracy like India, the challenge is to be politically relevant. No major political party has a dedicated disability cell, major leaders hardly ever mention disability in their stump speeches, and policies that are pro disability are hardly considered important enough to swing seats. Courts, though, have risen above politics to provide persons with disabilities their basic rights. In 2004, the Supreme Court converted a letter from rights activist late Javed Abidi to the then Chief Justice V.N. Khare demanding accessible elections into a public interest litigation (PIL), paving the way for major reforms in the way elections are conducted. In 2016, I filed a PIL in the Delhi High Court after the Delhi government decided to procure 2,000 standard floor buses, which are inaccessible for people with disabilities. Repeated lobbying and requests had failed but thanks to the Delhi High Court, the government was forced to provide an accessible transport solution. Over the years, discriminatory regulations by the Medical Council of India have prevented persons with disabilities from pursuing medicine. Last year, progressive judgements from the Supreme Court and the Delhi High Court helped students with low vision, haemophillia, dyslexia and hearing impairments pursue their dreams. “Persons with disabilities succeed not by magic, but through opportunities,” said Haben Girma, the first deaf-blind alumnus of Harvard Law School, during the 25th anniversary celebration of the American with Disabilities Act in 2015. Today, I do hope the Supreme Court reconsiders its decision of denying millions of Indians an opportunity to take part in the country’s judicial process. Nipun Malhotra is Founder, Wheels For Life (www.wheelsforlife.in) and CEO, Nipman Foundation. He can be followed on twitter @nipunmalhotra. He has decided to intervene in this judgment, seeking a review by a larger bench.